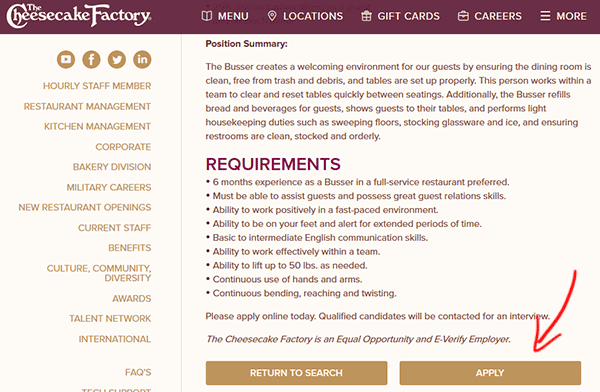 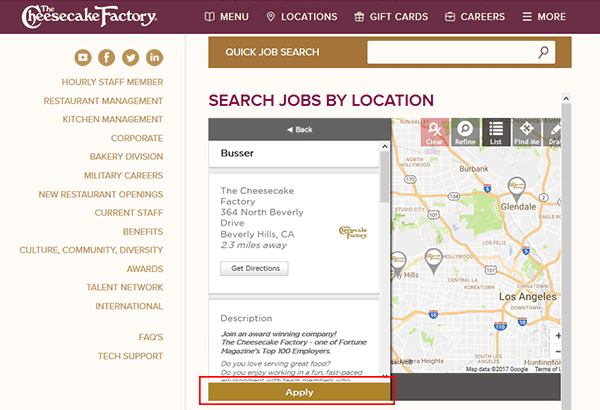 Use the Cheesecake Factory job application to apply for current openings in your area. 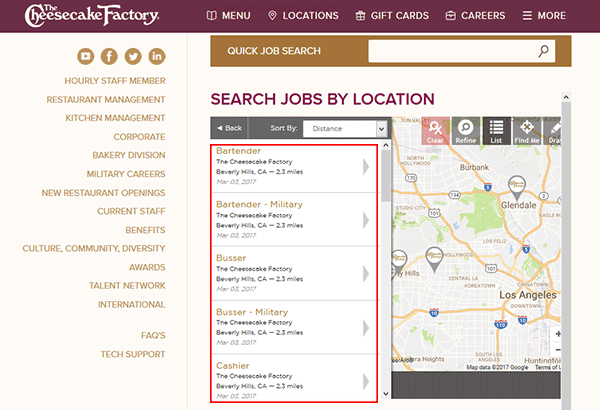 Numerous career types can be applied for including corporate, restaurant, and bakery positions. 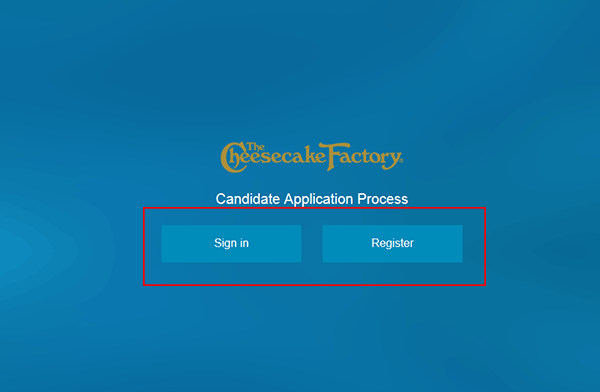 The Cheesecake Factory is an American chain of restaurants with over 180 locations throughout the country (as well as abroad). 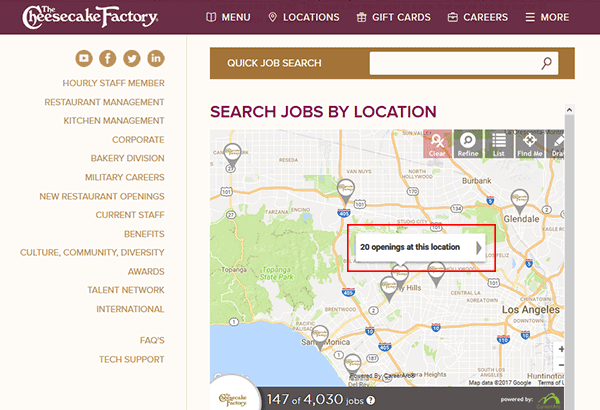 The company was founded in 1978 and is headquartered out of Calabasas Hills, California. 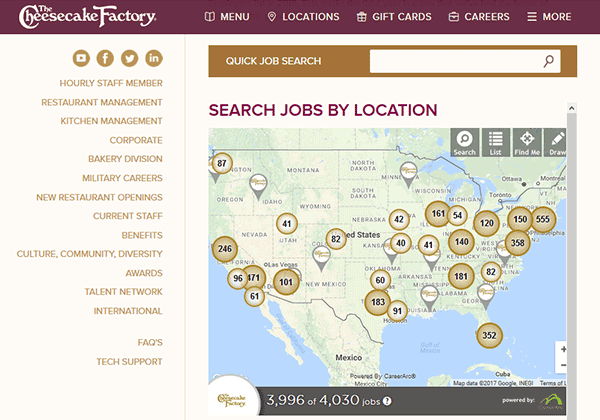 In recent years (2014-2016) the company has been included in Fortune Magazine’s top 100 employers list.